For the album, see Sara Smile (album). "Sara Smile" is a song written and recorded by the American musical duo Hall & Oates. It was released on January 31, 1976 as the second single from their album Daryl Hall & John Oates. The song was the group's first Top 10 hit in the US, reaching number four on the Billboard Hot 100. "Sara Smile" was the second single released from Hall & Oates' 1975 self-titled album for RCA Records. Cowritten by both halves of the duo, it was Hall & Oates's breakthrough single, with a #4 peak on the Billboard Hot 100 charts in 1976. It was written about Hall's then-girlfriend, Sara Allen. The couple were together for almost 30 years before breaking up in 2001. Nathan Brackett and Christian Hoard, in the Rolling Stone album guide, referred to the song as a "love bead ballad," and Steve Pond of the Los Angeles Times cited it as an example of the duo's R&B influences. Following the success of "Sara Smile," the Atlantic Records label re-released the duo's previous single, "She's Gone." "Sara Smile" was the duo's first Top Ten hit, reaching #4 on the Billboard Hot 100. It also peaked at #23 on Hot Soul Singles (now Hot R&B/Hip-Hop Songs) and #18 on the Hot Adult Contemporary Tracks charts. Billboard ranked it as the No. 11 song of 1976. On the R&R Airplay chart the song debuted at #38 on April 2, 1976, after seven weeks it reached and peaked at #7 staying there for two weeks, it was on the top 10 of the chart for four weeks and remained on it for 17 weeks. The song also earned a gold certification from the Recording Industry Association of America (RIAA). R&B group After 7 released a cover version in 1997, on their greatest hits album The Very Best of After 7. It peaked at number 31 on the Billboard R&B/Hip-Hop Airplay charts, number 99 in Australia, and number 130 in the UK. R&B group Boyz II Men released a cover version in 2004, on their album Throwback, Vol. 1. (2009) "Just Knowing You Love Me"
Country music singer Jimmy Wayne released a cover version in 2009, with backing vocals from Hall & Oates. This version debuted at #51 on the Hot Country Songs chart dated October 3, 2009 and serves as the title track for Wayne's third album, Sara Smile. It became Hall & Oates' first single to chart on the country charts. Sam Gazdziak of Engine 145 gave the song a thumbs-down, saying that it was "almost reverential" to the original and that Wayne's vocals showed R&B influences, but added that it "has no business being played on a country radio station." Bobby Peacock of Roughstock gave a more positive review, also saying that it was well-sung but not country-sounding, but adding that it was a "refreshing change of pace" from the "bombast of Do You Believe Me Now", Wayne's last album. Thom Jurek described the cover favorably in his review of the album, saying that Wayne "basically apes Hall's lead vocal[…]note for note" but "pulls it off in spades." Jimmy Wayne's version of "Sara Smile" debuted at number 51 on the US Billboard Hot Country Songs chart in September 2009. After seven weeks on the country chart, the song peaked at 31 in December 2009. Rumer and Daryl Hall perform the song together on Live From Daryl's House. A music video to accompany the release of "Sara Smile" was first released onto YouTube on June 28, 2012 at a total length of three minutes. ^ Halvonik, Frank (1976-09-10). "Hall & Oates album "bigger" and better". The Collegian. Retrieved 2009-09-29. ^ Taylor, Chuck (2003-02-15). "A Little Rock & Soul Goes A Long Way". Billboard: H3. ^ Dean, Maury (2003). Rock N Roll Gold Rush: A Singles Un-Cyclopedia. Algora Publishing. p. 545. ISBN 978-0-87586-207-1. ^ "Biography for Daryl Hall". IMDb. Retrieved June 18, 2012. ^ Brackett, Nathan; Christian Hoard (2004). The New Rolling Stone Album Guide. Simon & Schuster. pp. 358–359. ISBN 978-0-7432-0169-8. ^ Pond, Steve (1976-10-31). "Pop Album Briefs". Los Angeles Times. Retrieved 2009-10-16. ^ Erlewine, Stephen Thomas; J. Scott McClintock. "Hall & Oates biography". Allmusic. Retrieved 2009-10-16. ^ "Search results for Hall & Oates". Recording Industry Association of America. Retrieved 2009-10-16. ^ "Item Display - RPM - Library and Archives Canada". Collectionscanada.gc.ca. 1976-05-15. Retrieved 2019-02-03. ^ "Charts.nz – Daryl Hall & John Oates – Sara Smile". Top 40 Singles. Retrieved May 31, 2017. ^ "Daryl Hall & John Oates Chart History (Hot 100)". Billboard. Retrieved May 31, 2017. ^ "Daryl Hall & John Oates Chart History (Adult Contemporary)". Billboard. Retrieved May 31, 2017. ^ "Daryl Hall & John Oates Chart History (Hot R&B/Hip-Hop Songs)". Billboard. Retrieved May 31, 2017. ^ "Top 100 Hits of 1976/Top 100 Songs of 1976". Musicoutfitters.com. Retrieved 2016-10-11. ^ After 7 - R&B/Hip-Hop Airplay, Billboard. Accessed December 14, 2016. 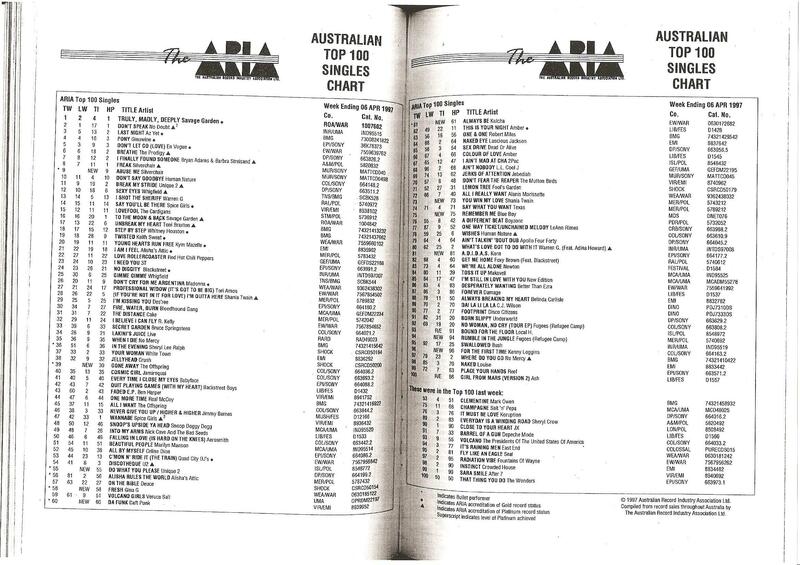 ^ "The ARIA Australian Top 100 Singles Chart – Week Ending 06 Apr 1997". Imgur.com (original document published by ARIA). Retrieved 2017-06-24. N.B. The HP column displays the highest peak reached. ^ "Chart Log UK 1994–2010 > A – Azzido Da Bass". zobbel.de. Retrieved 2017-06-24. ^ Gazdziak, Sam (2009-09-28). "Jimmy Wayne — "Sara Smile"". Engine 145. Retrieved 2009-10-16. ^ Bobby Peacock (2009-09-17). "Jimmy Wayne — "Sara Smile"". Roughstock. Archived from the original on 2009-12-02. Retrieved 2009-10-16. ^ Jurek, Thom. "Sara Smile review". Allmusic. Retrieved 3 December 2009. ^ "Jimmy Wayne Chart History (Hot Country Songs)". Billboard. Retrieved January 30, 2011. ^ a b "Sara Smile (2012) - Rumer - MP3 Downloads - 7digital - United Kingdom". 7Digital. Retrieved 26 October 2012. ^ "Ultratop.be – Rumer – Sara Smile" (in Dutch). Ultratip. This page was last edited on 11 April 2019, at 10:06 (UTC).